When you see headlines like “Zuckerberg’s Net Worth Surpasses Buffett’s” or “Warren Buffett has a net worth of $84.7 billion”, you may end up scratching your head. What is net worth? What is my personal net worth? Why does knowing my net worth matter? If you desire to be wealthy, you must know about this important financial health indicator known as net worth. To help you along your financial journey, this article will attempt to answer the following five questions on net worth. Why is it important to know your net worth? Once you know the basics of net worth, you can find and interpret your own personal net worth statement. Q1: What is Net Worth? Your net worth is your total assets less your liabilities. The concept of net worth is applicable to both individuals and businesses as a key measure of how much an entity is worth. A consistent increase in net worth indicates good financial health. For a simpler explanation, your net worth is the difference between what you own and what you owe. A person’s net worth can even be negative where liabilities more than assets. Your net worth won’t be able to show you an in-depth examination of your personal finances. But it is a reliable method for a quick evaluation of your general financial well-being. The only asset you own is a property worth RM500,000. You took a loan from the bank and owe RM300,000. Your net worth is RM500,000 (asset) – RM300,000 (liability) = RM200,000. Q2: How to Calculate Your Net Worth? Money in your bank accounts (Savings, Current Accounts, Fixed Deposits) and in your wallet. Cash equivalents refer to short-term (less than three months) accounts and investments that can be easily converted to cash. For example, short term government bonds, commercial papers, and money market funds. Property Loan: Can be a good liability with the corresponding asset (house) value increasing over time. Education Loan: A short-medium financial burden but may be a worthwhile investment in yourself and potentially higher future earnings. Credit Card Debt: Often a significant obstacle to building net worth. Outstanding card debt is charged at high interest rates compounded monthly. Q3: What Does Your Net Worth Really Mean? Your net worth statement shows what you own and what you owe. But it won’t tell you the complete analysis of your financial well-being. The number by itself is much less important. It’s the change from year to year that is what you need to pay attention. Your net worth will fluctuate from year to year but it is the overall trend that is important. As you get older, if you manage your finances well, your net worth ought to increase in tandem. Your assets will grow while paying down your debts. A negative net worth is not indicative of a disastrous financial life. It just means your debts are more than your assets. However, if the trend continues, then this is something you should be concerned. The objective is to strive to have a higher positive net worth over the long term. A good bench mark is to take your current net worth and compare it with the amount you should have accumulated based on your income level and number of years working. Q4: Why is it Important to Know Your Net Worth? Know your current financial condition. Have a reference point for mapping the journey to your financial goals. How to get where you want to be. This can give you encouragement when you are heading in the right direction (i.e. reducing debt while increasing assets) and provide a wake-up call if you are not on track. Q5: How to Increase Your Net Worth? Simple! Since net worth is all about assets less liabilities, you either increase your assets, reduce your liabilities or both! Review your net worth statement and identify which assets and liabilities you can prioritize to take action on. You need to save and invest. Review your statement for immediate asset type that can be increased. Start on the easiest and small increments. For example, start out by trying to save RM100 a month if you have been struggling to save. 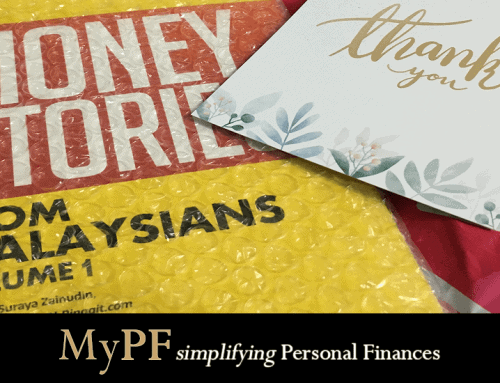 And then work towards savings RM1,000 or more monthly. You can also start an aggressive personal campaign to cut unnecessary expenditure. Draft a detailed frugality plan watching all expenses areas will be looked at with the intention of reduction regardless of amount. This is a detailed thought out plan that may need time to get used to. You may be surprised that every single expense can be reduced from a minimal 1% to 20% or more!. Spend on needs not wants: Your net worth statement can show you which expenses are on the high side. These are your priority areas where reductions are a must to get back on track. The best way is to separate the needs and the wants. Evaluate whether the wants can be totally taken out or drastic reduction. Consider replacing costs that are needs with better value alternatives. Reduce your debt: Develop a plan for paying down debt before even investing. It does not make sense to put extra money into an investment earning say 6% per annum when your credit card is charging you 12-15% per annum. . Instead, use available funds to pay off the credit card debt. 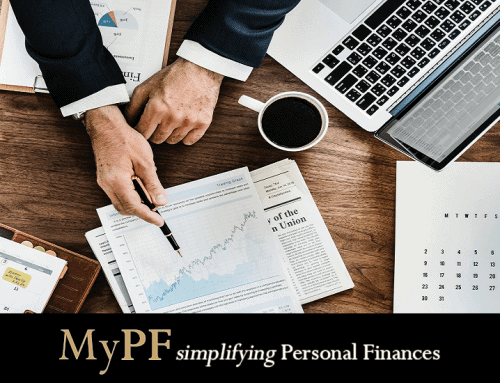 Regardless of the state of your personal finances, knowing your net worth can help you to assess your present financial well-being and prepare for your future financial aspirations. By knowing where is your position money-wise, you will be extra mindful of your financial actions, better equipped to craft good financial choices, and more likely to meet your short-term and long-term monetary objectives. Put aside some time in tracking your net worth, and continue heading towards financial freedom. Calculate your Net Worth with our simple Net Worth Calculator. Knowing the what, how, when and why of net worth is half the battle won.